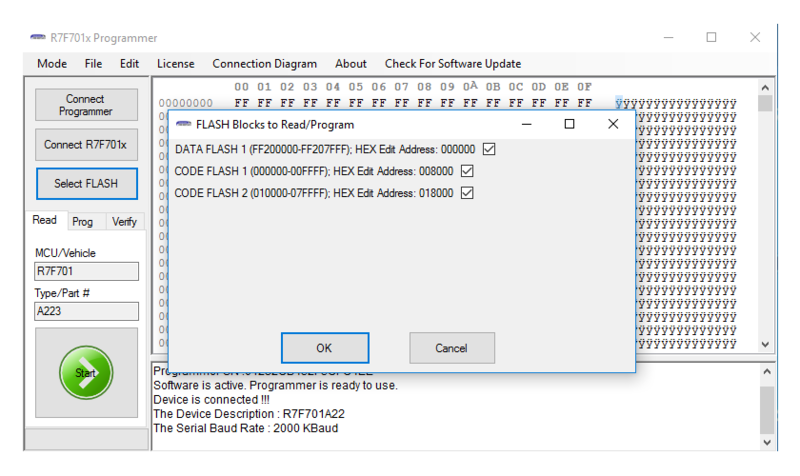 Full set for programming R7F701x Microcontrollers FLASH in automotive modules. 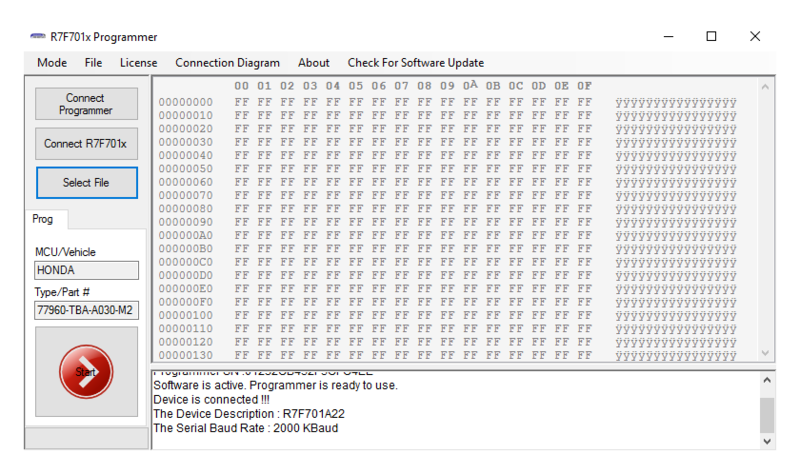 R7F701x Software Activation Key. The Software works with the Universal HyperProg Hardware only. 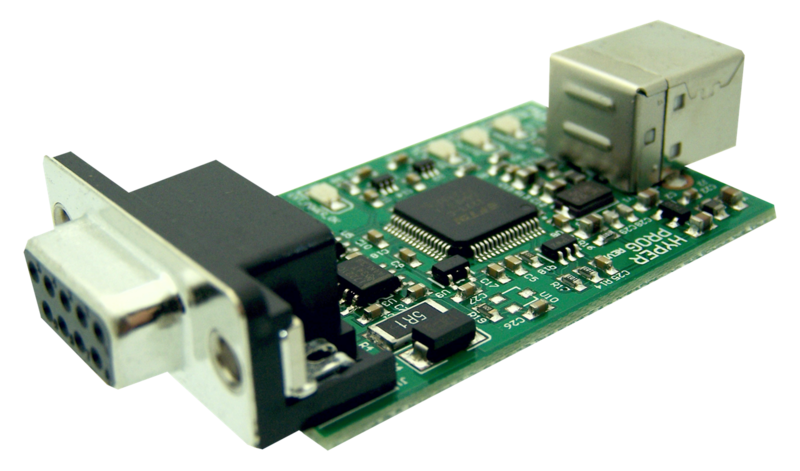 This is the One Year Files Download and Support for the R7F701x FLASH Programmer. R7F701x family support, include R7F701A223 MCU's DFLASH/PFLASH Read/Program/Verify Operation - Expert mode. High-speed up to 2 Mbaud connection.